Fireflies are such summertime treats (for the eyes. Don’t worry, I don’t eat them), but I haven’t seen too many around in the city. These firefly jars aren’t as amazing as the real thing but they’re pretty cool to look at! There isn’t really a how‐to for them, but Curbly, where I spotted them, suggests flicking glow in the dark paint into mason jars. Or, one could try these from Frugal Family Fun, involving battery‐powered LED lights. I’ve told you that I love headbands. Haven’t made too many of them though. 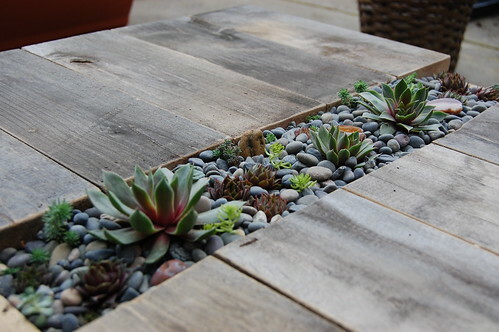 But this one I will likely make soon! Knotted headband tutorial from You Seriously Made That. Might also make a cool belt! Hmm. I like jewelry made of old cutlery and I’ve always wanted to buy them when I see them in the shops (but I could never afford them :S). I would buy them because I thought it involves heavy machinery to bend/shape/form metal cutlery, something that I can’t make at home. 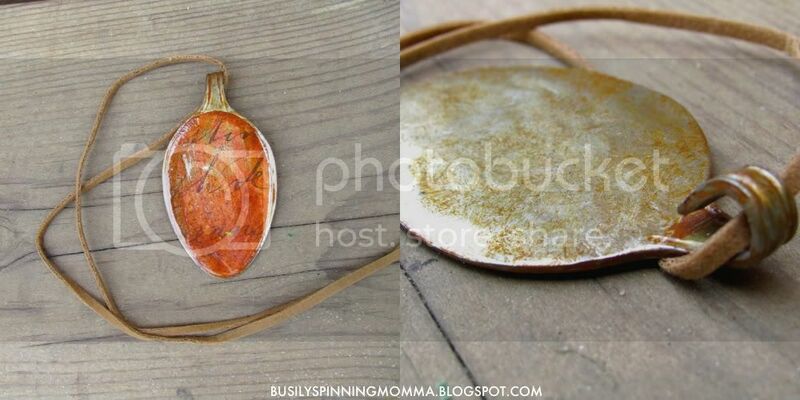 But apparently there is a way to make them with just a good ol’ hammer and pliers, like in this tutorial of a spoon pendent by Busily Spinning Momma! This is so simple, but it made me laugh! 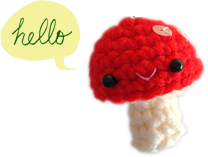 A pocket‐size puppet for those long bus rides or doctor’s waiting room, perhaps? 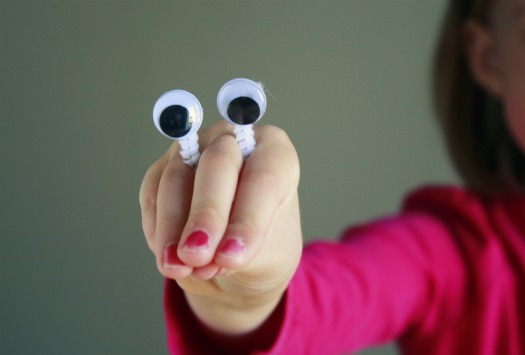 Googly eye hand puppet from Make and Takes. This, my friends, is a way to screen print without a screen! Brilliant! 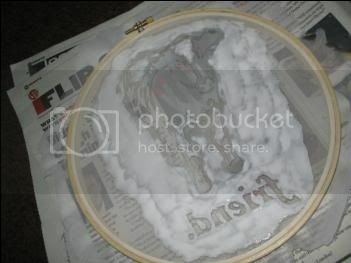 Just an embroidery hoop, some mesh/sheer material, and Mod Podge! 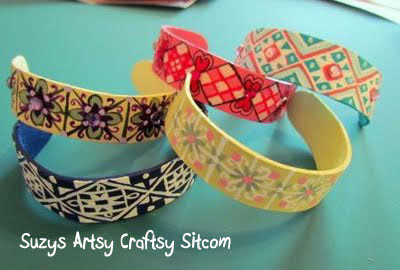 How‐to on Craftgrrl (via 52 Crafts in 52 Weeks). I’ve never made soap but always been intrigued by the process. I like the ones that come embedded with a rubber ducky or other small toys. But a sheet of printed transparency would also make a sophisticated and stylish embedding option — makes a lovely wedding favour or Christmas gift! How‐to on Ruffled. 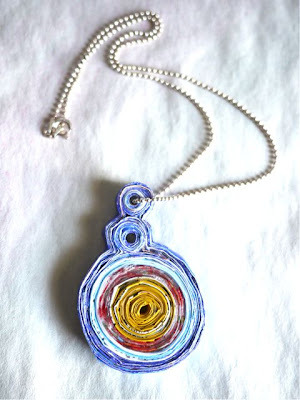 A very sculptural pendent made completely with candy wrappers. I love recycled crafts :D From Michele Made Me. Always wondered how this gradient is achieved — now an easy‐to‐understand tutorial! 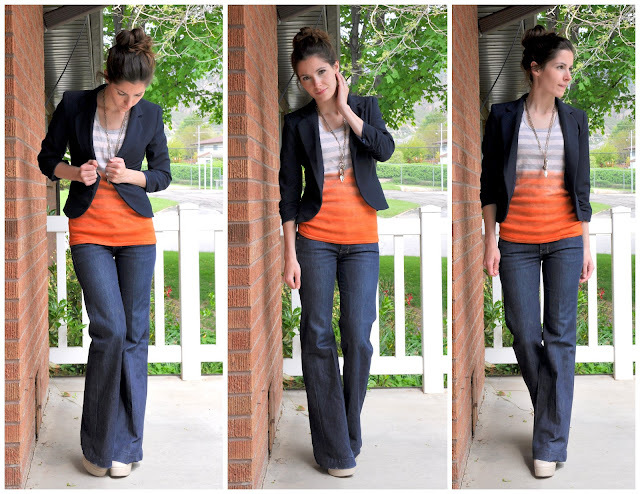 (I think the stripes on the shirt helps a lot) From Cotton & Curls. In our small apartment, a tabletop ironing board would be handy, so whenever I’m working on a sewing project I don’t have to haul out the ironing board that takes up half the living room (OK, I’m exaggerating a bit…). 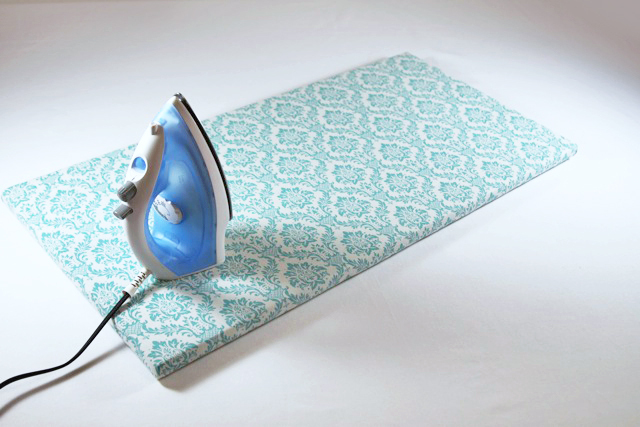 Last time we went to Ikea I was looking at the loose shelf boards in the as‐is section and I wondered if I could make an ironing board with a towel wrapped around the board or something… and then a couple of days later I came across this tutorial :D From Lil Blue Boo. These ice cream cone charms look so much fun to make, with sharpened wooden dowels and caulking! Not to mention that they’re so very cute. From Paper Plate and Plane. 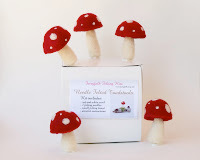 I’ve made felted mushrooms for my terrariums before (my first posts of this blog, actually! :D), but I just kind of free‐formed them. But here’s a detailed tutorial! From The Magic Onion. Handmade polymer clay that dries very hard without baking, involving white glue, cornstarch, lemon juice and other household materials! Sounds amazing, because those Fimo clay is expensive! Must try this sometimes. Recipe on The NewNew Blog. 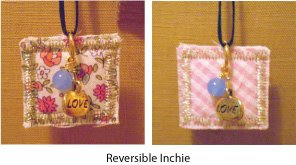 Also from The NewNew Blog, reversible fabric scrap pendents! Very quaint. When my watch strap was falling apart last year I thought about crocheting a replacement, but then we went to Hong Kong and I had it replaced in a little booth on the street. 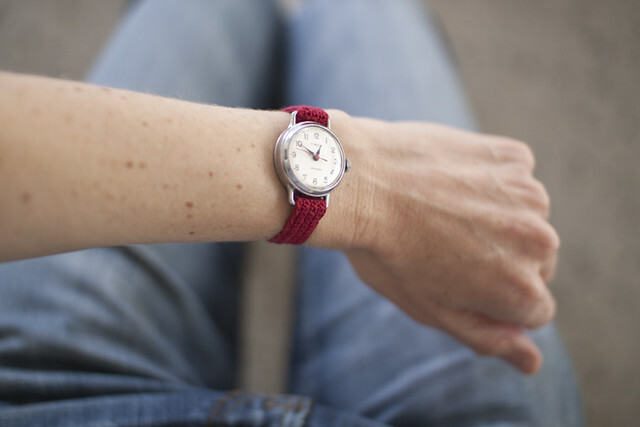 This would be great inspiration for crocheting my next watch strap! From Kootoyoo. More junk into treasure — this is just mesmerizing. Made with fusing plastic bags together. More photos on Curbly. Finally, a great list from Real Simple (one of my favourite magazines :D) of summertime new uses for old things. My favourite is the colander ice bucket and old shower curtain as picnic blanket liner (I’d probably ditch the blanket and just sit on the shower curtain though). And I didn’t know that tea bag is a bug bite soother! Thanks so much for featuring my popsicle stick bracelets! I am delighted to be included in your collection!